Hello! I should really have started writing these earlier in the year, but since I obsess so much over them, tend to put it off. And here is another thing I put off – reading this book. It has been on my list for YEARS, but I never got around to it until this year. 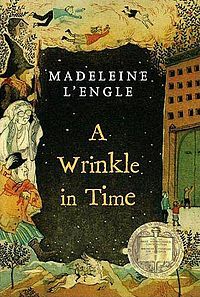 Originally published in 1962, A Wrinkle in Time is the story of Meg and Charles Wallace Murry, and their friend Calvin O’Keefe. The story is pretty simple: the Murry kids’ father is a scientist, and while working on the mysterious “tesseract”, he disappears. Meg and her brother Charles Wallace are pulled (by their mysterious neighbor Mrs. Whatsit) into a plan to rescue him. Honestly, though, I felt that the storyline is really secondary to the characters and their development. Meg is 13 or so – awkward, smart (especially in math), but not as smart as her genius brother Charles Wallace, a 5-year old prodigy. She has a smart mouth, is unpopular , strong and fiercely loyal. You find strong female characters like her in modern YA fiction: Lyra Belacqua, Katniss Everdeen, etc – but I imagine Meg Murry was the first. And she is awesome. Charles Wallace, as I said, is a genius who can talk to Meg through telepathy. Calvin is the BMOC, but we find that he also considers himself an outcast. A Wrinkle in Time is a classic for a reason. Read it, and get your kids to read it. I’m a little late to this party, and probably the last person I know to read these books. My husband has had the first movie uploaded to our Tivo for awhile, and we haven’t watched it because I wanted to read the books first! Anyway, in the future, after the oceans rise and North American continent has been reshaped, the former United States is now called Panem. Split into 12 districts, they are ruled over by the Capitol. There had been 13 districts, but 75 years before the 13th district led a rebellion against the Capitol. The rebellion was crushed, and the 13th District was detroyed. As a lesson to the rest, every year the Capitol puts on the Hunger Games. Two young people from each district are chosen to compete in a fight to the death. The people are forced to watch, and the winner gets food and shelter for themselves and their families for the rest of their lives. Katniss Everdeen is a 16 year old girl living in District 12 (what is currently Appalachia). She hunts illegally with a bow to feed her mother and sister. She’s a tough cookie, but she has to be to survive. When her little sister’s lot is chosen in the Hunger Games, Katniss takes her place. She is sent to the Capitol to prepare for the games with Peeta Mellark, a baker’s son and the other “tribute” from District 12. There they are trained and sent into the arena to meet and try to kill the tributes from the other districts. The first book, The Hunger Games, tells of this first competition. It’s harsh. I’ve heard these books described as the “anti-Twilight”, and while they are more than that, I can’t think of two more opposite characters than Katniss and Bella. Katniss is smart, resourceful, but also vulnerable in a way that feels genuine. She’s not supergirl, but she’s pretty awesome. Young girls need more characters like her. The Hunger Games ends with the end of the competition and announcing of the winner. Catching Fire starts where the first book left off. We find Katniss dealing with the consequences of her decisions in the arena. The Capitol is not happy with her. I won’t spoil it, but she has to go back and compete again, this time against new characters. This book felt the shortest, and I read through it pretty quickly. Where the first spent time setting up the Hunger Games universe, this just rolled right out of the gate and was fast paced. Mockingjay, like Catching Fire, begins exactly where the second book ends. 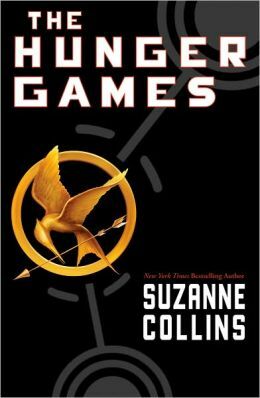 In this book, Katniss finds herself the unwilling symbol of rebellion against the Capitol. I think while good, (and a fitting end to the trilogy), I enjoyed this book the least. The pacing is necessarily slower – there is a great deal of soul-searching and we do see growth from all of the characters. There is a quote that runs through all 3 books, from Haymitch, former champion and mentor to the tributes from 12: “Always remember who the real enemy is.” In the end, Katniss does. 1943 Berlin. 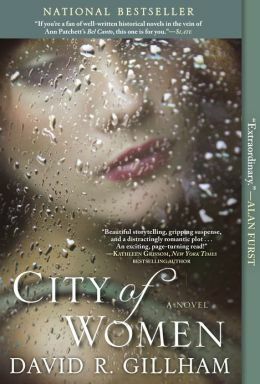 The title of this book refers to the fact that at this point in WWII, Berlin is basically populated mostly by women holding the home front together. Sigrid is the wife of a soldier away at war. Middle-aged, living in a drab apartment with her horrible mother-in-law, she goes through the motions every day. She works at an office, tries to make her rations go as far as they can, tries to keep her had down and be a model citizen. She has desires, though. Sigrid can’t stop thinking about her former lover, who is Jewish. She has lost contact with him and is frantic to hear whether he has managed to get out of Germany. There are other people who enter her life, as well: the high-ranking Nazi officer and his pregnant wife who move in to her building, the young girl downstairs working as a mother’s helper who is more than she seems. Soon Sigrid is involved with things and people she knew existed, but was careful to avoid. She is faced with the choice of either continuing to ignore the reality around her, or to face it and do what is right. I enjoyed this book immensely. Sigrid felt real to me: intelligent, passionate – she is compelling, a hausfrau who rises above what is expected of her. What struck me the most, I think, is how nuanced many of the characters are. Like real people, they are neither completely good nor bad. Given my obsession with the Outlander series by Diana Gabaldon, I pretty much jump when I see any books about 18th century Scotland/Scottish immigrants. I picked this book up hoping to get a taste of some bodice-ripping, witch-cursing colonial goodness before Gabaldon’s next book comes out. I was’t too disappointed with Midwife of the Blue Ridge. While it’s not a great book, it is fun. The book’s description says that “As the lone survivor of an attack on her village, she is thought to be cursed…she hopes to escape the superstitions of the old country…” This all happens within the first couple of chapters, and then we never again hear of her being considered a witch. 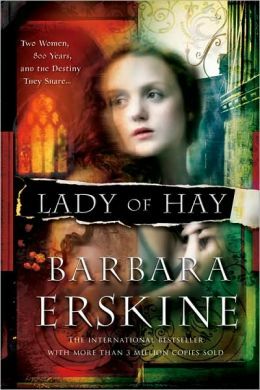 Maggie is a young Scottish midwife who signs herself into indentured servitude in America. She arrives in 1763, around the time of the Native American uprising known as Pontiac’s War. Maggie’s feisty, she’s gorgeous, she catches the eye of all the red-blooded men in the colony. There are your usual characters: the folksy settlers, the super hot frontiersman who is afraid of marriage (of course), and the rich, titled, dissipated fop (read: villain). There are war parties, kidnappings, settler being thrown off their land, etc. Through it all, Maggie keeps her chin up. There was nothing really surprising in this book, no plot twists that I didn’t see coming (ok, maybe a couple). But it’s a fun, escapist read. 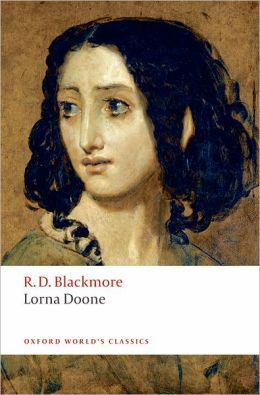 I read Lorna Doone as part of my effort to read more of the classics, and I’m glad I did. This is the late 17th century in England, a time of political and religious strife. Charles II has just reclaimed the throne after years of exile. Told in the first person, it is the story of John Ridd, a simple farmer living in Exmoor with his mother and sisters. Nearby live the outlaw clan the Doones. The Doones had once been wealthy nobles, but had lost their title and lands due to a lawsuit, and have since taken up banditry. John is a young boy when his father is murdered by them during a highway robbery. The Doones live in a heavily guarded valley and are pretty much untouchable. One day, while out hunting, young John meets Lorna Doone. (She was kidnapped as a little girl and raised as a Doone.) Over the years they meet in secret, and fall in love. Eventually she tells John that she is slated to marry Carver Doone, the son of the Doone leader and a pretty bad guy. The Doones will then take her inheritance. As their romance matures, John becomes determined to save Lorna from her wicked family. The story starts off slow, but builds and becomes exciting in parts. There is love, loss, battle scenes. Lorna Doone has never been out of print, and it’s easy to see why. The writing is extremely Victorian – Blackmore suffers in some parts from excessive wordiness, and his female characters are a bit one-note. Frankly, I found Lorna herself to be somewhat of a simpering bore. But as a modern kid of girl, I can’t expect a 19th century male author to share my sensibilities! Where Blackmore’s writing shines, though, is in his descriptions of country life. 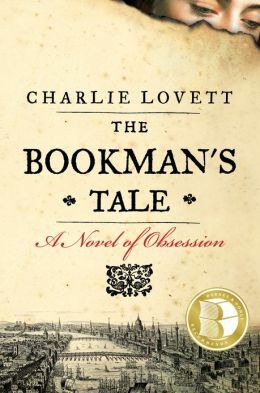 Taking into account the upheaval in England during the Industrial Revolution, the author’s love of nature and the older ways of doing things are evident on every page. (Now I want to re-read Middlemarch.) Lorna Doone is not a quick beach read, but it’s a good one! At this time, Iceland is a backwater, provincial outpost whose officials have to answer to Copenhagen. There is no prison, so Agnes is sent to a farm to wait out her sentence. It’s a lonely place, and the family with whom she is staying (understandably) distrust her. She becomes close with the young clergyman sent to prepare her soul for the afterlife, and eventually, heartbreakingly, her full story comes out. As we hear of Agnes’ life, you get the sense that in this time and place, a woman like her never had a chance and that her fate was probably inevitable. 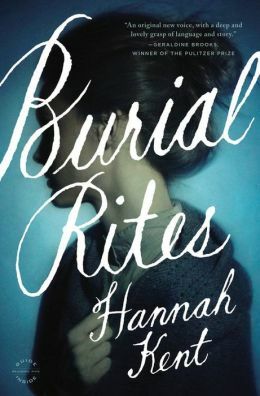 Burial Rites is not just the story of Agnes, though. It is rich with a sense of time and place, the descriptions of the stark Icelandic landscape vivid. We witness the effect Agnes has on those around her. As we near her execution time, the sense of dread is palpable. It’s a sad but beautifully written story. It’s a sad, yet beautifully written story.